Our Planet has taken viewers on an emotional rollercoaster since its release; full of downs and – well – mostly downs, the series drives home the devastating reality of climate change. In just eight gut-wrenching episodes, the docu-series has unapologetically forced viewers to confront the reality that our planet needs saving. And quickly. Already, we’ve borne witness to walruses tumbling to their deaths from a steep cliff – all because shrinking sea ice had left them stranded and confused. And now, viewers have had their hearts broken once more during a devastating baby flamingo scene. There’s no doubt that the new Netflix series, from the makers of Planet Earth and narrated by Emmy and BAFTA winner Sir David Attenborough, is heavily guided by the crucial issue of climate change. With extraordinary visuals captured by Sir David’s camera crew, there’s no escaping the devastating reality that climate change is affecting every living creature on the planet, causing death and destruction on an unthinkable level. And Sir David never shies away from these issues throughout the entire series, with the first episode containing perhaps one of the most heartbreaking scenes in all eight episodes. The opening episode documents a large salt pan in Africa which is populated by a flock of flamingos; with the sun bearing down on the flock, the water supplies dry up and the flamingos are forced to flee across the salt plains. However, it isn’t that easy. With hundreds of babies who can’t fly, the adults must walk alongside their offspring to guide them to the fresh water. But some fail to keep up and are inevitably left behind. 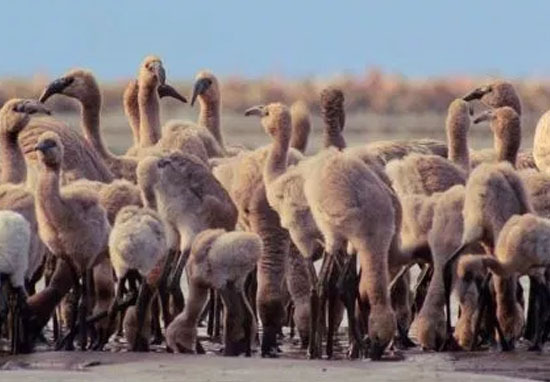 If the flamingos don’t move quickly, the salt will solidify around their legs and it will make it increasingly difficult for them to walk, never mind keep up with the rest of their flock. They may have to trek for 50 kilometres. Some cannot keep up. The salt has solidified around their legs. Viewers were understandably left feeling heartbroken by the scenes, with many taking to social media to describe how they were moved to tears. 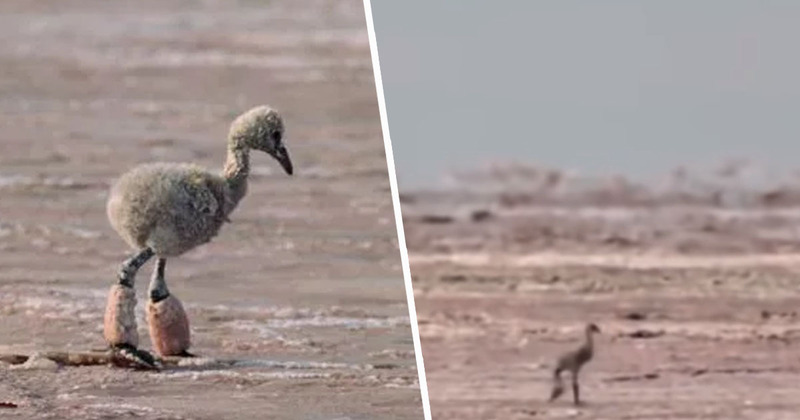 Some expressed their hope that the crew went back to help the flamingo, while another said they were having an ’emotional breakdown’ after watching the scene. Others said they ‘sobbed’ as they watched the baby’s plight, while another said they wished they could save the flamingo themselves. As heartbreaking as the series is to watch, it’s necessary to do so. Because without facing the reality of the damage being done to our planet every single day, how can we ever hope to reverse it? To find out more about how you can help save our planet, visit the Our Planet website. You can watch all eight episodes of Our Planet on Netflix now.